There’s an advantage in working with a financial advisor who knows you – and your financial goals. That’s what makes Edward Jones different from other investment firms. Supporting the relationship between you and your financial advisor shapes nearly every aspect of our business. You may have seen one of our 12,000 offices in your community. That’s because we believe you deserve more than a 1-800 number when it comes to your financial future. What you may not know is that we’re a Fortune 500 company with thousands of associates and sophisticated technology supporting your local financial advisor. In fact, we like to think we became one of the largest financial services firms in the country by not acting that way. If you’re ready to work with a different kind of investment firm—one that cares as much about why you’re investing as what you invest in— you’re ready to work with Edward Jones. Edward Jones’ operations are decentralized so when you contact your local branch you get your local contacts, every time. Scott and Susan are who you get when you call Covington, not a big office building or corporate office. That personal touch is what sets them apart from other big firms. Edward Jones seems very personal with smaller offices. With the small local offices, they can personalize their service to the individual clients depending on their clients goals. Edward Jones is build on integrity. Being involved in their communities – serving, volunteering and giving back is part of their core business values. Simply put, life changing situations (marriage, babies, new jobs, etc.) are what brings individuals to Edward Jones. When these changes arise visit your local Edward Jones Financial Advisor. 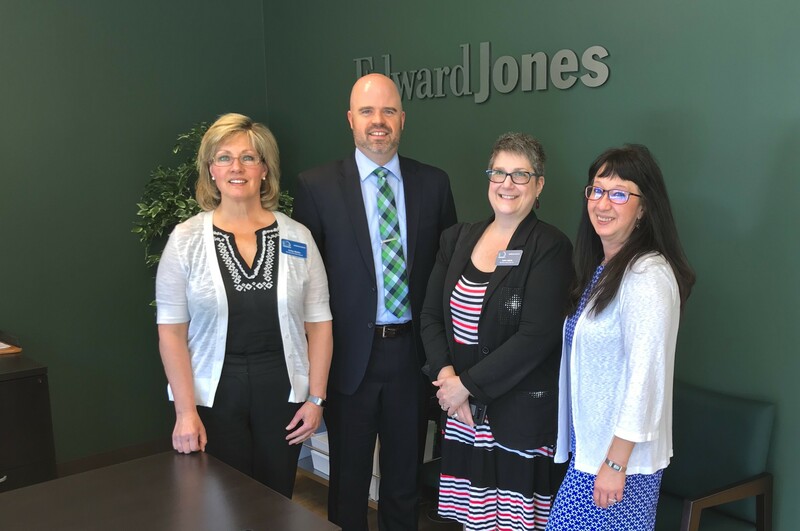 We currently have 5 Edward Jones Investment Financial Advisors as active members of the Covington Chamber of Commerce 2018. Please visit their individual websites to contact them independently for more information or to set up an appointment to meet them!